Both children and adults take their learning very seriously in China. 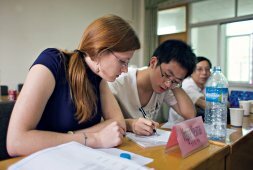 An education internship in China will give you an opportunity to learn about the inner workings of our unique educational system. Whether you intern in a classroom or an administrative office, interning abroad will give you a global perspective on education. 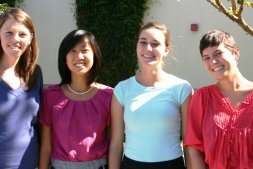 The insights and perspectives you develop during your internship will benefit both you and your future students. Education is a broad term, and there are many job roles available in this industry, ranging from marketing assistants to business planners and program developers all within an educational institution. You could work for a private language company, a school, a company that provides educational support, programs or products and more. Through our broad network of partner companies, Go Abroad China can find you a guaranteed paid internship that matches your educational background, skill set, and language proficiency. 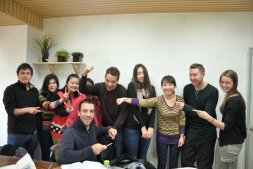 Wall Street English is the global leader in English language training for adults with its headquarters in Baltimore, USA. Wall Street English (China) is a subsidiary of Pearson Education (www.pearson.com), the world's largest education, publishing and Information Company. We are UStalk. Our mission is to expand the reach of high-quality English education. We bridge the gap between young Chinese learners and foreign teaching talent by providing a unique one-on-one online learning experience accessible to students throughout China. We are hiring Educational Consultants to join our Teaching Operations Team.